Made in collaboration between students of ESSEC (business school), Centrale Paris (engineering) and Strate Collège (industrial design), we worked here for Orange Healthcare during the CPI program - which means "Creating an Innovating Product". O-Rizon is an interactive system specifically designed for hospitals, allowing you to entertain yourself without using your own phone or computer. Fully dematerialized, it has two main benefits : avoid the transmission of diseases and the risk somebody steal your own device(s). The prototype we developed used Kinect technology to follow tiny gestures (in order to be usable by people sick or with an arm in a plaster cast) and pico-projectors to show the interface and the keyboard. 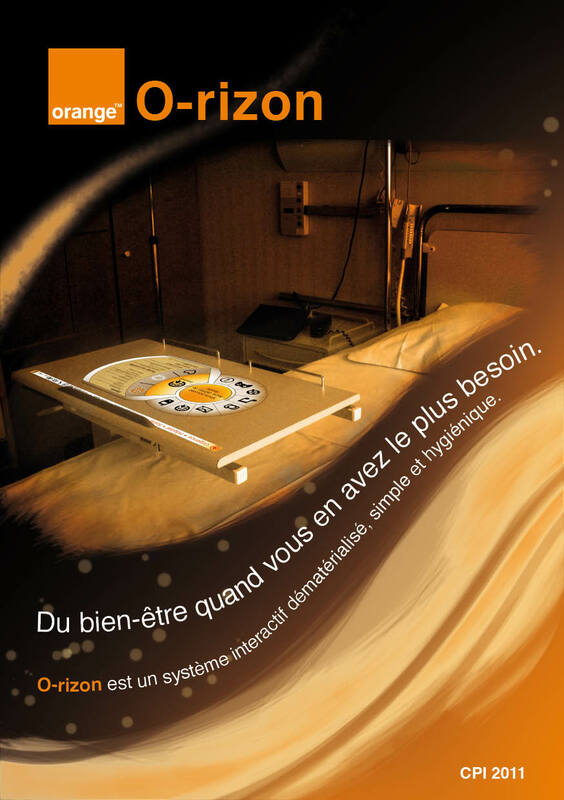 During this project, we also succeeded to make contacts inside hospitals to know how to enter and make this product successful - that was one of the main interest of Orange Healthcare, which was still unsuccessful with its old service. Thus, the system integrates the hospital's Data Base Management System, including the case file of each patient. For each doctor, it became a good way to save time and paper (they had to enter the informations in one or two DBMS and on paper). Moreover, it is a great opportunity for the staff to explain easily his situation to a patient. This last one can also keep an eye on his situation and is aware of when he will be able to leave, for instance - which was one of the main question taking time to the staff. 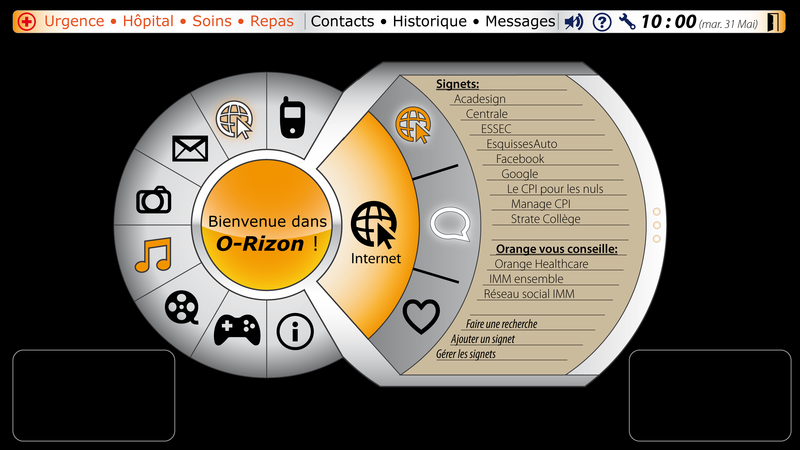 The project received a great welcome by the staff and Orange Healthcare who wanted to develop it. “Weel-being when you do need it.